Leisure industry and management co.
Our aim is to be there from initial advice on funding and consultation through to the design, installation, maintenance and aftercare. ... you just have to read our reviews! Here’s a sample of our recent projects... contact us below for more details on play area design and learn how we can supply quality lasting equipment and safety surfacing for your play space. Here you’ll find a sample of our best selling play equipment, of course you can always browse our entire collection which gives almost every possible combination. 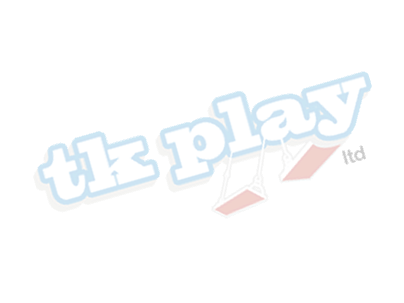 TK Play LTD are a family run business with over 25 years experience in the playground industry. We have links with many different and varying playground equipment manufacturers. TK Play are based in the South West UK although their projects run nationwide and go as far as providing solutions for less able or specialist end users. We work with Local authority, Parish councils, Individual groups and School's to realise playground projects, from concept through to installation and believe getting children outside and active is not difficult when they can have fun. To support this we ensure all equipment and surfacing complies with current EN1176 safety regulations. Terry Warrington Director of TK Play has 25 years experience in the playground industry as an installer, play space designer and area sales director covering the South West of the country. Kim Warrington Director of TK Play covers Admin, PAYE, and general running of TK Play. We have proven track record in providing quality, lasting safety surfacing for play areas, our most highly used surfacing product is Tiger-Mulch, we also offer Wet pour in many colours, these are highly durable products and easy to maintain. TK Play recommend Agri-Flex surfacing for running tracks and pathways this is a hard wearing highly durable and made from recycled rubber. Other surfacing products available are Grass mats, loose fill i.e. Sand and Bark. TK Play are pleased to offer the installation of Running tracks suitable for the Daily Mile challenge within your outside space. Our “Daily Mile” track has been designed to provide an all-weather facility that is intended to be used every day by the whole school. With the aim to improve the physical fitness, mental health and long-term well-being of children, many schools are looking to install a dedicated track to new Government initiatives and promoted through Sport England. TK Play recommend Agri-flex as a surface this has been developed for pathways and running tracks and is very durable and easy to maintain. The track is constructed using a polyurethane bound rubber chip (Agri-Flex) laid to a depth of 50mm over a geo-textile membrane. This produces a porous, resilient all-weather surface normally installed around the perimeter of an existing playing field, for long life TK Play recommend a stone sub base with geo-textile liner. The track length is normally set to ensure that an exact number of completed laps are equal to the challenge distance of 1 mile. Track shape and layouts can very depending on your space available, they can either loop an existing pitch or form a unique layout to best match your facilities ensuring its easily accessible from the playground. We can advise on track routes using satellite technology to produce suggested track positions and budget costings, followed by a site survey. We’ll be happy to discuss how our comprehensive range of services can benefit you and visit your location to provide a full consultation and quote. Call us today on 01805 625235 / send us an email or simply fill out this contact form and we will be in touch to discuss this further. TK Play Ltd “Your local playground specialists”... A Devon based, family run company - proud to be working locally! Our School Council wanted to extend the playground and make the area more exciting - TK Play started to help all the way from the design process with the children and have now successfully installed a large area of flooring, pathways, playground lines and a volleyball court. I was pleased by the attention to detail to the project as they were quite precise about some of the children's requests but they also added a couple of their own adjustments - the children have thoroughly enjoyed the stepping stone spots to the Gazebo today!